Perodua President and CEO Datuk (Dr) Aminar Rashid Salleh wishes a Perodua employee Selamat Hari Raya and a safe journey back to his kampung. 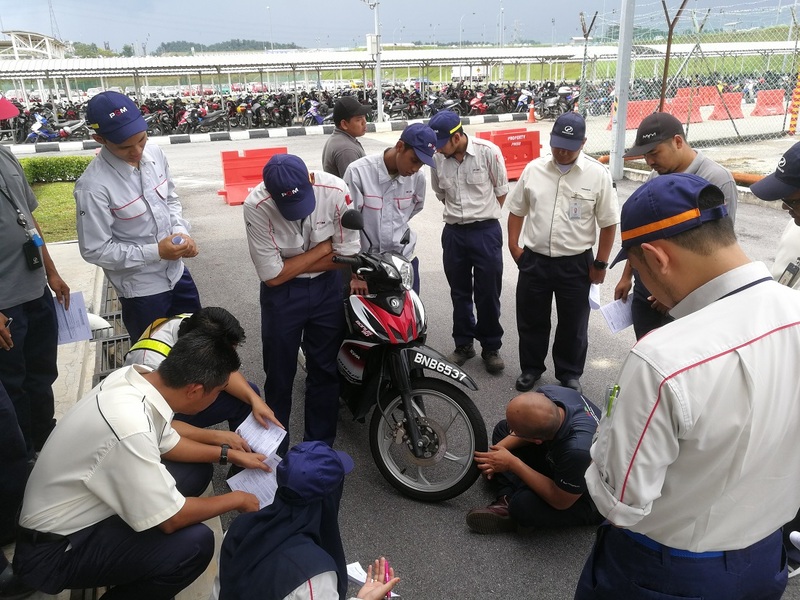 Rawang, 13 June 2018 – Concerned about the safety of some 7,000 of its employees who will be travelling back to their hometowns this Hari Raya season, Perodua had initiated a month-long road safety programme for its staff to inculcate road safety awareness in them. The month-long programme set to remind its employees on the basic rules of the road as well as safety tips that would save precious time and money when they make the long journey home to meet their loved ones. 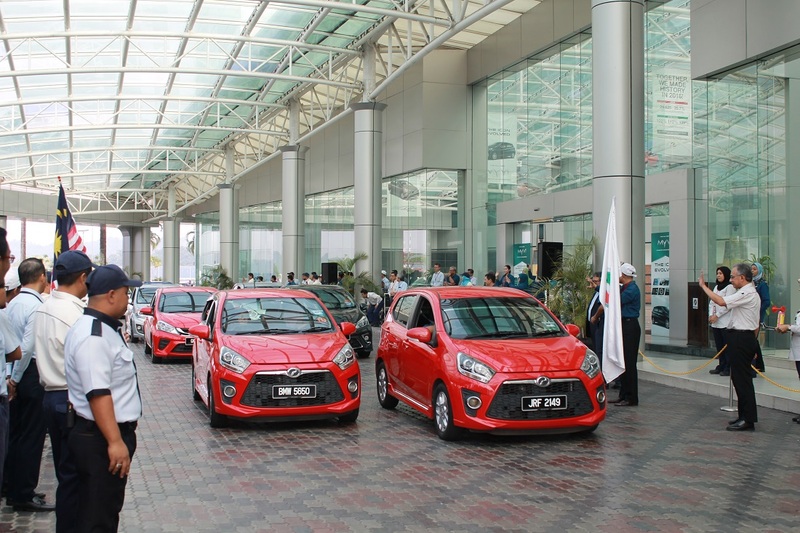 This safety programme is part of Perodua’s ongoing Road Safety Campaign five-year initiative which also saw the company give away 100 GearUp child seats to Perodua owners who are travelling with children this Hari Raya. The core principle of this programme is to raise road safety awareness especially among the company’s employees as well as Perodua owners and encourage the use of seat belts, turn signals, child seats and discourage drivers from using their phones while driving. Datuk (Dr) Aminar Rashid Salleh (right, with flag) flagging off Perodua staff in their vehicles for Hari Raya balik kampung. “The journey home can be a challenging one as there are many vehicles on the roads. 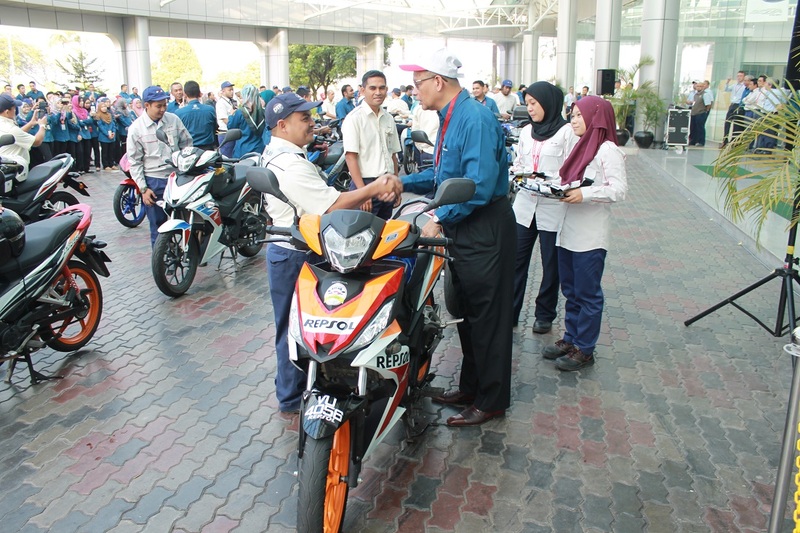 During such a time, it is important that we stay cool, alert and courteous while driving or riding,” Perodua President and Chief Executive Officer, Datuk (Dr) Aminar Rashid Salleh said. “We believe education should begin at home, which is why the Perodua Road Safety Campaign is mainly centred on educating our people on the importance of their vehicles’ safety equipment as well as making good driving habits second nature to them. We believe in leading by example and hope that all Malaysian drivers will accept our invitation to make Malaysian roads the safest in the region,” Datuk (Dr) Aminar added. 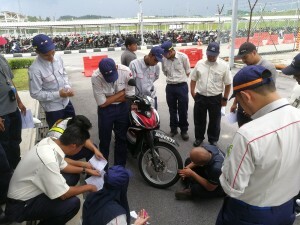 the Hari Raya holidays, with free inspections carried out earlier. 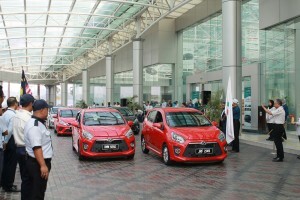 For the public, Perodua’s Tweckbot mobile car inspection service had carried out free pre-Raya 50-point checks on 380 Perodua vehicles in total at Tesco Kota Bharu earlier in May, as well as at a Petronas station in Kota Kinabalu..
Tweckbot will be at Petronas Sungai Buloh PLUS R&R on 23 and 24 June for post-Raya checks, offering as always a 20% discount on parts and accessories to all inspected vehicles that return to Perodua service branches and dealers. “For our valued customers, please service your Perodua vehicle at the most convenient Perodua service centre near you. Datuk (Dr) Aminar, on behalf of Perodua, wishes everyone Selamat Hari Raya Aidil Fitri and happy holidays.